Brian McGraw is a director in the firm’s intellectual property and commercial litigation sections with a particular focus on cases involving trademark infringement, trade dress infringement, unfair competition, false advertising, copyright infringement, trade secret misappropriation, patent infringement, violation of the rights of publicity and privacy, and disputes over the bad faith registration and/or use of domain names. Mr. McGraw has litigated cases throughout the country, including in federal and state courts in Kentucky, Illinois, Delaware, Missouri, Michigan, Georgia, Oklahoma, New Jersey, Ohio, West Virginia, and the Court of Federal Claims, as well as in connection with inter partes trademark matters brought in the Trademark Trial and Appeal Board. Mr. McGraw represents both plaintiffs and defendants and has represented a wide range of clients from Fortune 5 companies to individual business owners. 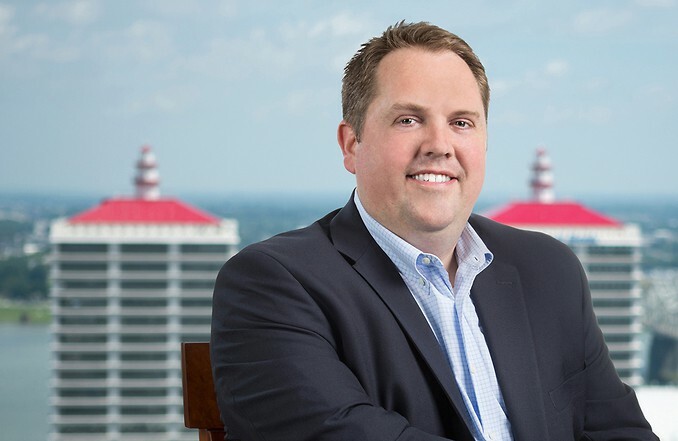 Mr. McGraw spent the first part of his career working in trademark prosecution and transactions, including primarily brand development and clearance, trademark registration in the U.S. Patent and Trademark Office, and the licensing of intellectual property rights. Phillips 66 Company v. Garfield-66, LLC (U.S. District Court Western District of Missouri). Represented Phillips 66 as plaintiff in connection with a case for trademark infringement and trademark dilution under the Lanham Act. Successfully obtained a judgment and permanent injunction against the defendant and further obtained an award of its attorneys’ fees in connection with the matter. Successfully represented the plaintiff in the subsequent collection action and recovered all of the plaintiff’s fees. BDT Products, Inc. et al v. Higgs, Fletcher & Mack, LLP (Fayette County Circuit Court, Kentucky Court of Appeals). Represented defendant, a law firm who represented a printer manufacturer in connection with a long-standing trade secret misappropriation case in federal court in Kentucky, in the subsequent malpractice action. Obtained summary judgment in favor of the law firm, successfully avoiding a multi-million dollar claim asserted by the former client. Judgment was affirmed on appeal to the Kentucky Court of Appeals. KCH Services, Inc. v. Vanaire, Inc. (U.S. District Court, Western District of Kentucky). Represented plaintiff, KCH Services, a manufacturer and distributor of industrial vacuum equipment, in connection with a claim for trade secret misappropriation based on a former employee taking certain computer software to a competitor and the competitor subsequently raiding the plaintiff’s employees. Obtained a favorable settlement following the plaintiff’s presentation of its case at trial. Prior to trial, the court ruled in favor of the plaintiff on the issue of the defendant’s spoliation of evidence during the case. Lauren Eirk Enterprises, LLC v. Suzanne Bryant-Cunha (U.S. District Court, Western District of Kentucky). Represented individual business owner defendant, who was a resident of California, in connection with a trademark infringement, unfair competition, and cybersquatting case brought in federal court in Kentucky. Obtained dismissal in favor of client on the grounds of lack of personal jurisdiction where the plaintiff argued personal jurisdiction existed based on the defendant’s operation of a website and based on other alleged internet activities of the defendant. Kazimierz Leja and Zofia Leja v. Schmidt Manufacturing et. al. (U.S. District Court, District of New Jersey). Represented Sypris Technologies as a third party defendant and obtained dismissal based on lack of personal jurisdiction over the client in New Jersey. CMCO Mortgage, LLC v. Peoples, Inc. and Aaron Hill (Jefferson County Circuit Court). Represented plaintiff, mortgage banking and brokerage service, in connection with a trade secret misappropriation, unfair competition, breach of confidentiality, breach of restrictive covenant, and employee raiding case brought against former employee and competitor. Obtained favorable settlement from competitor defendant and obtained judgment and permanent injunction against individual defendant. Better than Diamond, LLC v. C3 Jewelry, Inc. (U.S. District Court, Northern District of Georgia). Represented plaintiff, synthetic diamond manufacturer, against a competitor in a case for false advertising under the Lanham Act. The case settled with a consent judgment and injunction entering against the defendant. Donna Sharp, Inc. v. American Hometex (U.S. District Court, Western District of Kentucky). Represented plaintiff, a designer and distributor of quilts, against a competitor in a case for copyright infringement under the U.S. Copyright Act. Case settled favorably and was dismissed after payment of settlement proceeds by the defendant. Scholz Design, Inc. v. Lawrence Tallent (U.S. District Court, Western District of Kentucky). Represented individual defendant accused of copyright infringement associated with architectural design of house. Obtained favorable settlement following discovery. iLor LLC v. Google, Inc. (U.S. District Court, Eastern District of Kentucky). Represented Google in connection with defending against patent infringement claims asserted against it over the “Google Notebook” feature. Defended against motion for preliminary injunction and obtained summary judgment of non-infringement based on Markman interpretation. Summary judgment was upheld by the Federal Circuit. HMS American Queen Steamboat Company v. American Cruise Lines (Trademark Trial and Appeal Board). Represented HMS in connection with trademark opposition proceedings asserted against its primary competitor. Successfully obtained summary judgment on the grounds that the opposed mark was generic or descriptive. Alimak Hek, Inc. v. Richard Wheat (WIPO Arbitration and Mediation Center). Represented one of the world’s largest manufacturers and distributors of industrial elevators and construction hoists in connection with domain name cybersquatting dispute. Obtained a judgment in favor of client and order transferring disputed domain name to the client. Re-Logic, Inc. v. Whoisguard, Inc./Kenneth Buhrs (WIPO Arbitration and Mediation Center). Represented well-known international video game designer and creator in connection with domain name cybersquatting dispute. Obtained a judgment in favor of client and order transferring disputed domain name to the client.